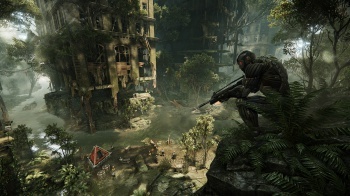 Crytek's Cevat Yerli says the next generation of consoles wont even come close to how well current PCs are able to run Crysis 3. Cevat Yerli is the CEO of Crytek, most famous for its Far Cry and Crysis series. The German developer is no stranger to making bold statements about how his games push the limits of technology, and this time he has claimed that it is "impossible" for next-gen consoles to run Crysis 3 as well as gaming PCs that are currently available. Yerli has seen Microsoft and Sony's new machines first-hand, and believes that the cost restrictions of the consoles mean that gaming PCs are already leaps and bounds ahead in terms of power. "Without breaking NDAs that are in place, realistically, from purely a price point perspective, it is impossible. It's impossible to package $2000-3000 into a mainstream, let's say $500 console. I'm not saying they are $500 consoles. They may launch a console at $2000, but the consumer pricing is usually much lower than that. So, given consumer pricing, and given the cost of production of a gamer PC and the amount of watt of power it needs, which is like a fridge, it's impossible." Yerli says that console manufacturers are fighting a losing battle against PCs, due to the rapid evolution of PC technology and the falling costs of PC components since the Xbox 360 and PS3 launched. "It's very difficult to compete with that. People have these massive nuclear power plants standing in their rooms that will run your games really fast. It's hard to compete with," Yerli said, explaining that enthusiast gamers can build monster machines with multiple graphics cards that are "overclocked to infinity" in a way that just wasn't possible six or seven years ago. CryEngine 3, the technology behind Crysis 3 was made next-gen ready by following the theory behind Moore's Law, which states that computer processors double in power roughly every two years. During this process, they discovered that whatever Sony and Microsoft put out could never beat a PC. "If you predict how hardware evolves at the current speed of evolution, and then take consumer pricing evolution, already two years ago you could see, whatever launches in 2013 or 2014 or 2015, will never beat a PC again." The original Crysis was infamous for "melting PCs," demanding that you had a machine from the future to be able to run the game at full settings with a steady frame rate. Crysis 2 dialed that back a bit in order to make itself more accessible, but Yerli says due to feedback from the loudest group of fans, the enthusiast PC gamers, Crysis 3 will again return to its PC-melting status. "I made a joke at one point saying, 'we're going to melt PCs,' and I think we are going to melt PCs again." Earlier this month, Star Citizen developer Chris Roberts made some similar comments to Yerli, claiming that next-gen consoles would lose their price and power advantage to PCs. Crysis 3 is out on February 19th for PC, Xbox 360 and PS3.